The Team of Choice will be out to take nothing less than three points when they meet Orlando Pirates at the Orlando Stadium on Saturday night. The kick off for this Absa Premiership match is at 20H15. As the table stands at present, United are in 16th place, one point behind AmaTuks, and five behind Jomo Cosmos, both those teams having played a game more. Maritzburg head into Saturday’s encounter having lost 2-1 to SuperSport United, that result following a win against Free State Stars and a 1-1 draw with Golden Arrows. Pirates have taken just one point from their last two games, the Buccaneers having lost 2-1 to Platinum Stars in midweek. Pirates are in sixth position on the table. When the two sides met earlier this season in Pietermaritzburg, they played out to a 3-3 thriller, Bucs having rallied from 3-0 down to spoil the party for the Team of Choice. The previous season had seen United beating the Sea Robbers 2-1 away from home, a result they will be hopoiing to replicate. 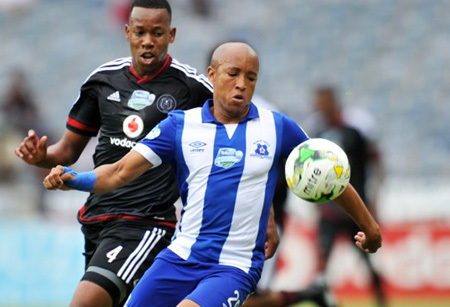 In the head-to-head record, the two clubs have met 20 times, Pirates winning 12, Maritzburg 5, with 3 draws. United’s top goal scorer is Evans Rusike, with 7, while Mpho Makola has netted 6 times for Pirates.